You work hard, and so do your bones and joints. Keep them working at their best with White Willow, containing a collection of compounds that promote healthy responses to physical strain. White Willow is a shrub with a long history of traditional use. Modern scientific researchers have identified numerous compounds from its bark that contribute to its bioactivity. Of these active compounds, Salicin is best known for its support of the body's healthy response to normal physiological stress. In addition to Salicin, polyphenols and flavonoids have also been found to contribute to its activity. 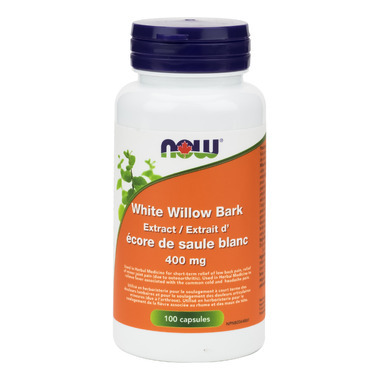 NOW® White Willow Bark has 15% Salicin plus a natural balance of other bioactive compounds that may gently help to temporarily relieve minor pain caused from overexertion and typical everyday stress. Happy to have a safer natural alternative to other pain meds. Works good on headaches and neck aches.